Home » Free Stuff » Keep Calm and CARRY ON! FANGIRL fans rejoice! 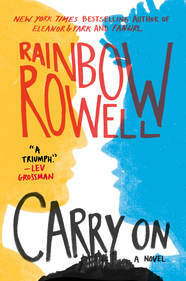 Rainbow Rowell’s CARRY ON, a YA fantasy following the adventures of Simon & Baz, is available today! We’re celebrating CARRY ON’s #BookBday by giving away 10 party packs to lucky librarians! 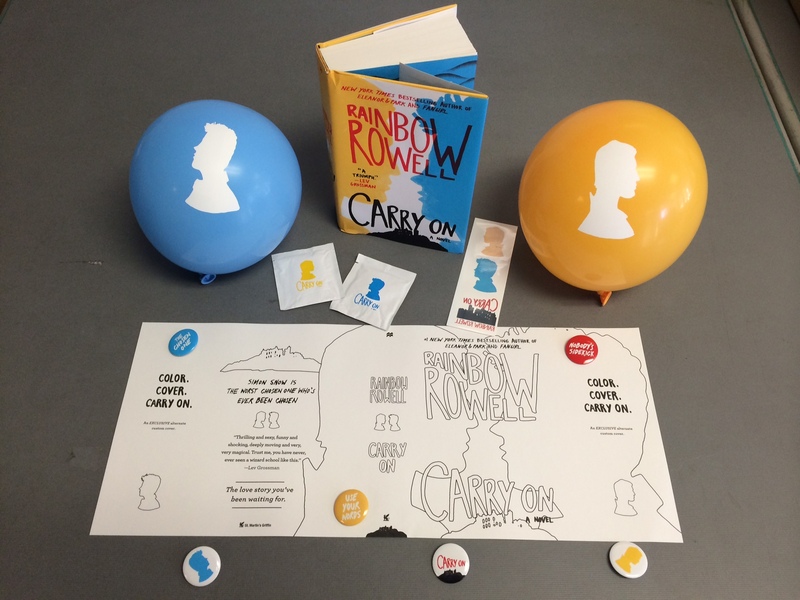 Each pack comes with balloons, buttons, tea bags, temporary tattoos, a coloring book jacket, and of course, a copy of CARRY ON! To enter the giveaway, simply email Library@MacmillanUSA.com from your professional/library-issued e-mail address (subject: Carry On) by Sunday, Oct. 25. Make sure to include your library’s mailing address to be placed in the random drawing. Check the fine print after the break. Good luck and CARRY ON! This sweepstakes is open to librarians in the United States. Entrants must be age 18 or older. No purchase necessary. Entries must be received by Sunday, Oct. 25, 2015 to be eligible. The winner grants Macmillan Library the right to announce their name on Twitter, MacmillanLibrary.com, and any other platform we want to congratulate them on. We will select the potential prize winner at random from among all eligible entries received. If a potential prize winner cannot be reached after three (3) business days, we will select an alternate winner, so check your email. 4 Responses to Keep Calm and CARRY ON! We would love this at our library! We would love this at our library. Kids need a lift as finals approach. Hi Susan & Paula – this giveaway is over and the winners have been notified. We would love to have this kit at our library!